One of the best ways to prevent an injury while riding in an automobile is to use a seatbelt. According to the National Highway Traffic Safety Administration (NHTSA), using a seat belt properly can reduce the risk of crash injuries by 50 percent. Seatbelts are estimated to save almost 13,000 lives in the United States each year. According to the Centers for Disease Control and Prevention more than half of the people killed in car crashes were not restrained at the time of the crash. When a motor vehicle comes to a sudden stop, the occupants of that vehicle come to a stop as well, but not always simultaneously. When the occupants are not wearing their seatbelts and the vehicle comes to a sudden stop, they can be thrown forward. This often results in either people hitting the windshield of the vehicle or being thrown from the car if the impact is forceful enough. How does a seatbelt work? A seatbelt when worn properly will disperse the motor vehicle’s stopping force across a person’s chest and pelvis. 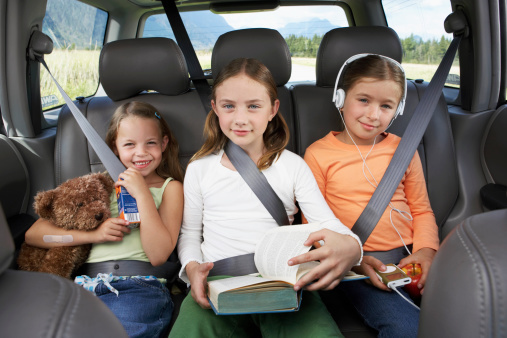 Seatbelts are usually made from material that has a little elasticity, so the stopping action isn’t as severe. The main objective of the seat belt is to prevent a person from making sharp impact with the windshield, the dashboard, or other rigid areas in the vehicle. By dispersing the force across the body, this will help to reduce the amount of trauma that is inflicted. Seatbelts are only helpful when they are worn. Even though it is mandatory to wear a seatbelt in most states, there are still people who don’t always wear one. Anyone who has ever been involved in a motor vehicle accident and who was wearing a seat belt at the time will tell you that it probably saved their life. Seat belts that went across the lap started appearing in cars in the early 1960’s and were supplemented by shoulder harnesses in the late 1960’s. At first people found them to be very uncomfortable to wear but as time passed, car manufacturers were able to design the modern three point belt that is easier to use and more comfortable to wear. Everyone should buckle up, seatbelts save lives. The only thing harder than figuring out what to make for dinner is, figuring out what your children will eat for dinner. Well, worry no more. 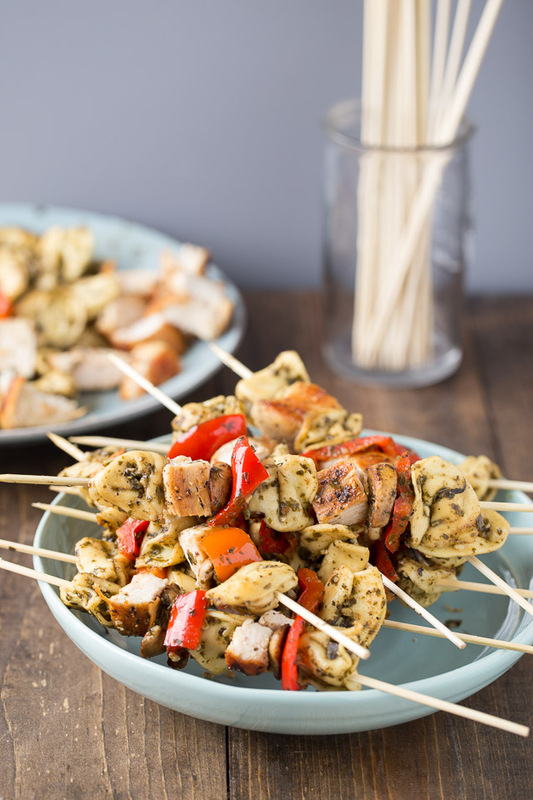 Try this easy, child yummy, meal and watch that frown turn upside down! Cook tortellini according to the package instructions. Drain water and return to the pan. Add pesto sauce and stir well. Chop bell pepper into bite sized pieces and add to a large skillet with the olive oil and the mushrooms. Sauté over medium heat until veggies are tender, about 5 minutes. Add pasta with pesto to pan and stir to combine. Remove from heat. This is an easy meal and you can ask your child for their help with the preparation! Preparing for a flight often requires careful planning and packing. When traveling with medication, knowing airport rules ahead of time can help you to pack correctly and minimize setbacks on your trip. Confirm that your prescription is legal at your destination; some medications that are allowed in the United States are prohibited in other countries. Learn state requirements for the labeling of prescription medication. States have individual laws of which travelers must comply. You can bring unlimited amounts of your medication in pill or solid form, as long as it is screened. Medications are typically screened by X-ray; however, if you do want them X-rayed you may ask to have them inspected instead. This request must be made before your medication enters the X-ray tunnel. You are allowed to bring liquid medication in carry-on bags in excess of 3.4 ounces in reasonable quantities. If traveling with liquid medication, you must inform the inspecting officer at the start of the screening checkpoint process. Additional screening will be required and you may be asked to open the container. Supplies associated with medication such as syringes, pumps, IV bags or needles must undergo screening. 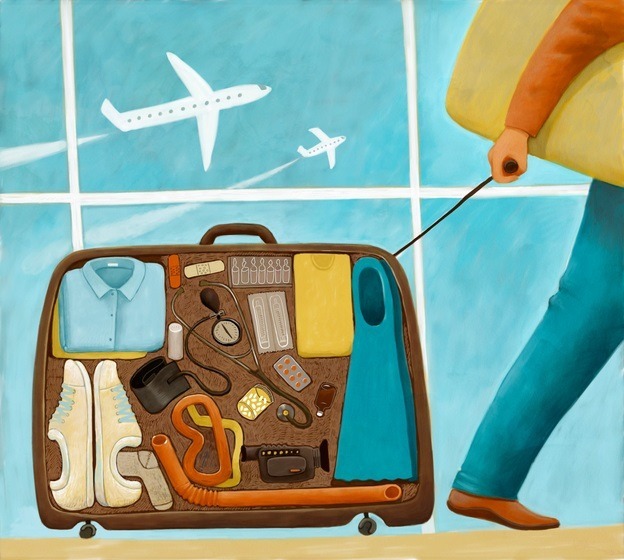 Packing appropriately for your trip can make traveling with medication less complicated. It is highly recommended that you check the TSA’s website, www.tsa.gov, for updates as the current rules can change. More and more parents are reporting not seeing their child’s face enough as they are constantly hidden behind various electronic devices. This is a concern that previous generations of parents did not have to deal with, leaving today’s mothers and fathers wondering how to regulate their child’s screen time activity. First off, it’s important to note that not all forms of electronic media are created equal. There are many educational games, apps and videos that children can play and watch that support and benefit their development. Many experts actually suggest that it is not the quantity, but the quality of a child’s screen time that should be taken into consideration. That being said, the American Academy of Pediatrics has offered guidelines for childhood screen usage. They discourage children younger than 18-24 months of age from participating in electronic media use, except for video chatting. If parents wish to introduce digital media games or apps at these ages, they should make sure that it is done in a supervised setting and that the content is educational and interactive. Parents of children from two to five years of age should limit their child’s screen time to one hour a day of high-quality programming. As children grow, the content and amount of media they are exposed to is harder to determine and is not a “one size fits all” model. Parents should customize parameters based on the maturity level and social skills of their children. It is also recommended that parents understand that they need to remain involved in their child’s online habits and enforce certain rules to ensure that screen time doesn’t affect other aspects of their lives. Parents are encouraged to carve out time for unplugged and unstructured play and create tech-free zone and times. In addition digital media should be off limits at dinner time and while children are doing their homework. Another tip is for parents to limit their own screen time to set a good example for their children. It is also recommended that parents understand that they need remain involved in their child’s online habits and enforce certain rules to ensure that screen time doesn’t affect other aspects of their lives. Parents are encouraged to carve out time for unplugged and unstructured play and create tech-free zone and times. In addition digital media should be off limits at dinner time and while children are doing their homework. Another tip is for parents to limit their own screen time to set a good example for their children. Managing a child’s use of electronic devices will be an ongoing challenge for today’s parents. 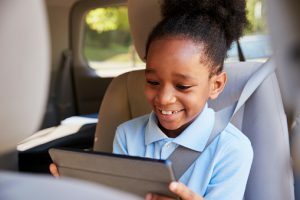 By staying active and engaged in their screen habits, you can avoid them falling into the traps associated with digital media and ensure they develop a well-rounded childhood experience. This month we shine our employee spotlight on Renee Card, Occupational Therapist. Renee has been working at Jamaica Hospital for 25 years. She grew up in Laurelton, Queens and still resides there today. Renee became interested in occupational therapy while doing an internship during high school at the Rusk Institute in Manhattan. After graduating from Springfield High School she went on to get her degrees from both Queens College and York College. 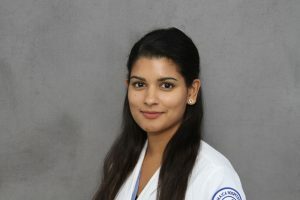 She pursued her career path because she discovered that she had a passion for helping people and restoring their quality of life after a major illness or trauma. 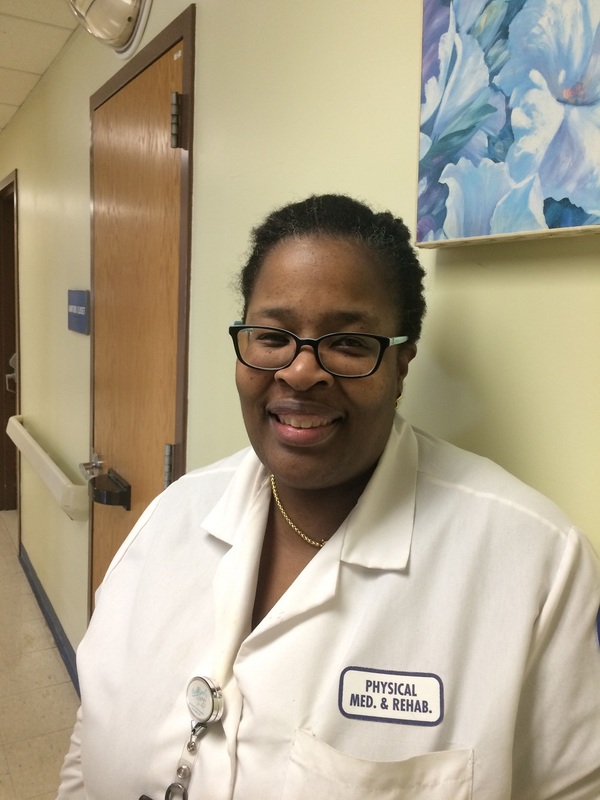 Renee enjoys working at Jamaica Hospital because of the diversity of the patients that she sees. 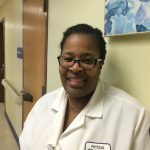 She also loves working at Jamaica Hospital because her colleagues have become like a second family to her as they too have worked together for many years. In her free time Renee is very active in the community. She performs missionary work with her church helping those who are less fortunate. Renee has also gone on medical missions to help people in Haiti, Belize and Liberia. Renee enjoys traveling and has been to many places across the country and around the world. She has visited six of the seven continents and is always looking for new places to visit and learn about. When Renee is not working, traveling or doing missionary work, she enjoys helping out in her brother’s dog grooming salon. She also has two beautiful dogs of her own that she is very proud of. Do You Have Dry, Itchy, Irritated Eyes? There are a number of ailments that can cause your eyes to be red, dry and itchy. The two most common are Pinkeye and Dry Eye Syndrome. Pinkeye, also known as conjunctivitis, is the redness and swelling of the mucous membrane that lines the lid and surface of the eye causing a discharge and can be caused by many things including, but not limited to, an infection, dry eyes from lack of tears or over exposure to wind and sun, chemicals, allergies and smoke. Pinkeye is very common, is usually not serious, can be viral or bacterial, is highly contagious and can spread very easily. Therefore, preventing its spread is important. There are home remedies such as removing your contacts and applying cold or warm compresses. These remedies may help reduce your pain and keep your eye free of drainage. Symptoms usually last 5 to 7 days, but some cases can last for up to 3 weeks. 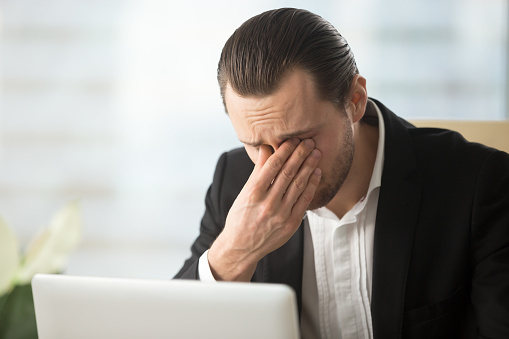 Dry Eye Syndrome is a more chronic condition in which you don’t have enough tears to lubricate and nourish your eyes. A lack of sufficient or quality tears in the eyes can be problematic since tears are necessary for maintaining the health of the front surface of the eye, as well as providing clear vision. Dry eyes can develop for a number of reasons including environment, medical conditions such as diabetes and thyroid disease, aging, your gender or certain medications you are taking that can reduce tear production. In mild cases of dry eyes, symptoms can often me managed using over the counter artificial tear solutions. In either case, if symptoms persist you should seek medical attention. If you are experiencing prolonged symptoms and would like to make an appointment to see one of our doctors, please call the Jamaica Hospital Medical Center Ambulatory Care Center at 718-206-7001 for an appointment. Skin cancer is one of the most commonly diagnosed forms of cancer in the United States. It can present in all ethnicities and skin tones. Almost all skin cancers are found on skin exposed to sun, ultraviolet light, tanning lights, or sun lamps. 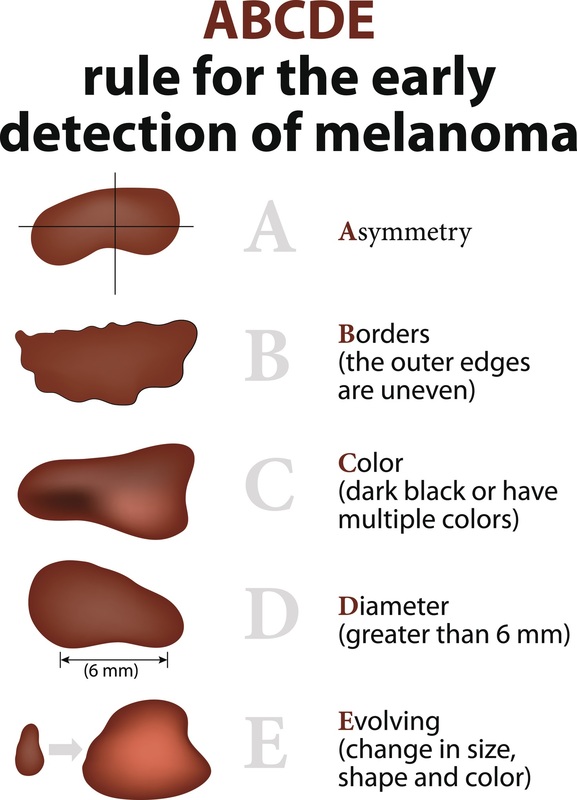 Most forms of skin cancer can be treated successfully when detected early. Unusual growths on the skin such as moles can serve as warning signs; therefore, paying attention to changes and abnormalities is crucial in early detection. When observing changes in the skin, knowing what is considered ‘normal’ is vital. For example, a normal mole is solid and uniform in color, and can range from tan, brown, dark brown, or flesh colored. They are usually round or oval in shape with well-defined edges, and may be flat or raised. However, moles that have developed into skin cancer are sometimes irregularly shaped, scaly or have a variation in color. The ABCDE rule can help you remember what to look for when checking your moles. If you fold the mole in half, does it look the same on both sides? If it looks the same on both sides, then it is symmetrical. If both sides look different, the mole is asymmetrical and should be monitored. Look at the border of the mole. Normal moles have a smooth edge. Moles of concern may have a blurry or jagged border. How large is the mole? Moles that are bigger than 1/4 inch in diameter should be shown to your health care provider. Has the mole changed in shape, size, or color? If so, alert your primary care provider. Your mole changes size, especially if it grows very quickly or becomes larger than a pencil eraser (6mm). Your mole changes in color or develops more than one color. Your mole, or the skin near the mole, becomes painful, sore, red, or swollen. Your mole becomes scaly, sheds skin, oozes fluid, or bleeds. Your mole develops irregular borders. Your mole becomes hard or soft, or develops raised areas. There are several steps you can take to protect your skin against cancer: Avoid the sun during peak hours, wear sunscreen (with an SPF of at least 30, reapplying every 2-3 hours) and wear sunglasses and protective clothing when spending long periods of time outdoors. Additionally, it is important to remember that ultraviolet radiation from artificial tanning beds is a known carcinogen. Using them can increase your risk of skin cancers such as melanoma by 59%, and even more with each use. If you notice changes in your skin that are abnormal, it is important to speak with your doctor right away. 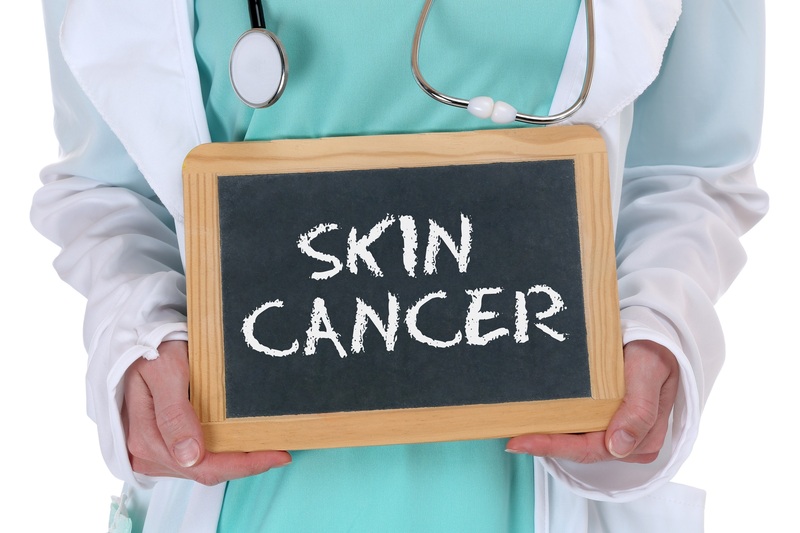 Early detection is key when treating skin cancer. If you have questions or concerns about unusual growths on your skin, you can schedule an appointment with a Family Medicine doctor at Jamaica Hospital Medical Center by calling, 718-206-6942. The winter months can be challenging to your health. The drop in temperatures often results in symptoms that could be either a winter cold or allergies. While many of the symptoms of colds and allergies are similar, the causes of each are very different. Colds are contagious and they are contracted when a person is exposed to an individual infected with a cold virus. Our body’s immune system will launch a counter attack against the virus. This response usually brings on the classic symptoms, such as a runny nose or cough. Once a determination between cold or allergy is made, the appropriate treatment can be applied. There is no cure for a cold, but there are medications that can help alleviate the symptoms. Cough syrups, pain relievers, decongestant sprays, or multi-symptom cold relief medicines can all be used to help, but should only be taken after consulting your doctor, especially if you are taking other medications or if you have other underlying health conditions. Drinking plenty of liquids also speeds up the recovery process. 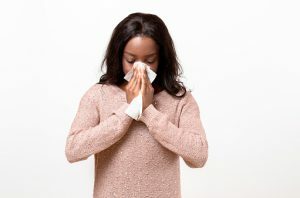 To treat allergies, your doctor may recommend an over-the-counter antihistamine to block the reaction to the allergens. There are many forms of antihistamines and some may cause drowsiness so be sure to look for the non-drowsy formula or only take them at night. Decongestants may also be suggested to relieve nasal congestion and avoid an infection. If you are not sure if you have a cold or allergies, please speak with your doctor. If you do not have a doctor, Jamaica Hospital’s Ambulatory Care Center can help. To make an appointment, please call 718-206-7001. How Do You Know When It’s Safe to Go Back to Work After the Flu? Doctors often recommend staying home when you have the flu. Going to work when you are symptomatic puts others at risk for contracting the virus and getting sick. Knowing when to return to work and applying preventative measures to avoid the spread of the virus can reduce the risk of getting others ill. 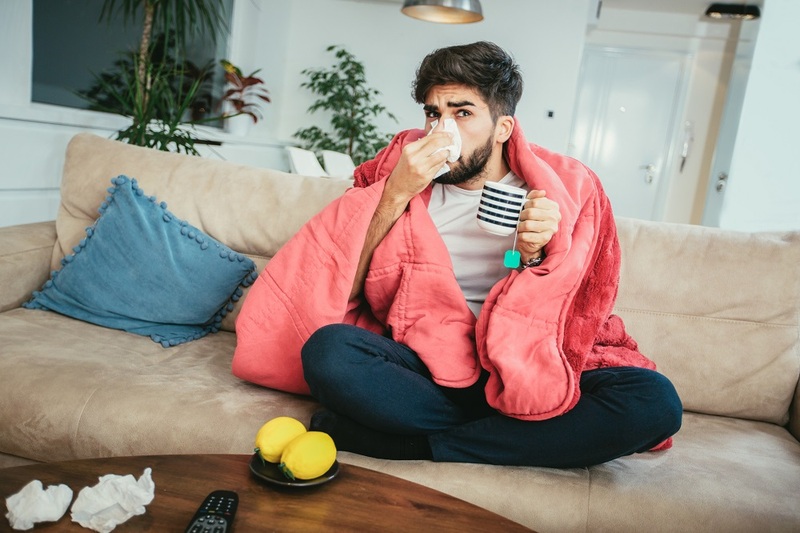 Most health care practitioners agree that you should stay home for a long as you have severe symptoms such as fever, diarrhea, and cough with mucus or vomiting. Some doctors may advise that you do not return to work for five days after the onset of symptoms and 24 hours after your fever has cleared. Advice may vary by provider. This year, we are experiencing a rather severe flu season. Anyone who suspects they have the virus should seek treatment from their doctor as soon as possible and take the necessary steps needed to avoid infecting others. 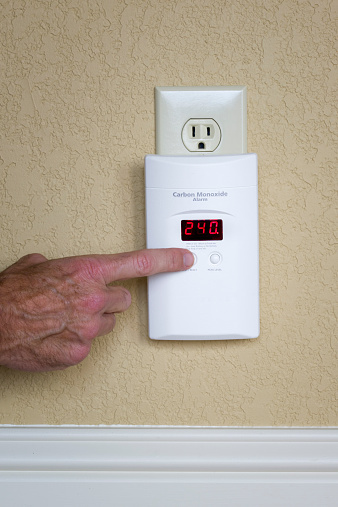 Common sources of carbon monoxide include heaters, car exhaust, fireplaces, cigarette smoke, and portable generators. 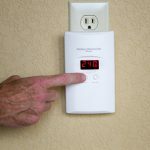 When the fumes from these devices aren’t properly vented, carbon monoxide can reach dangerous levels and cause serious health issues even death. The effects of carbon monoxide poisoning become noticeable when its level in the blood becomes too high. Diagnosing elevated levels of carbon monoxide in the body is usually done through a blood test. Anyone who is suspected of being exposed to high levels of carbon monoxide should be taken to an emergency room immediately. Treatment requires being given oxygen, sometimes in high quantities, to flush out the carbon monoxide. If not treated quickly the results are often fatal. If you suspect that there is a carbon monoxide, or any other gas problem in your home, best to evacuate the premises and call 911.